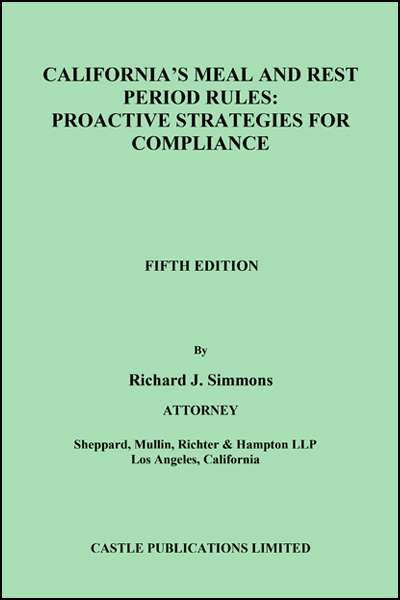 California’s Meal And Rest Period Rules: Proactive Strategies For Compliance (2019) – Castle Publications, Ltd. 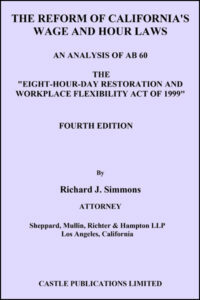 This edition examines California’s unique meal and rest period rules, the liabilities that exist for violations and the California’s Supreme Court’s landmark decisions in the recent Augustus v. ABM, Brinker Restaurant, and Gerard cases. The new sanctions created for violations of these rules have led to an epidemic of class action lawsuits and millions of dollars in liability. 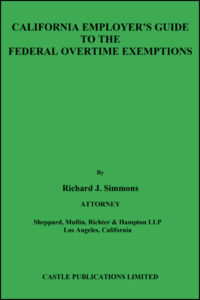 California’s Meal And Rest Period Rules: Proactive Strategies For Compliance is authored by one of California’s leading experts on wage-hour law, Attorney Richard J. Simmons of the law firm of Sheppard, Mullin, Richter and Hampton LLP. 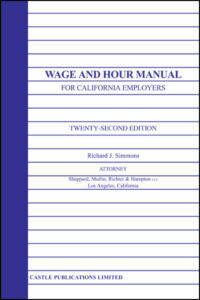 All California employers must be aware of their obligations and the high price they may pay for noncompliance. 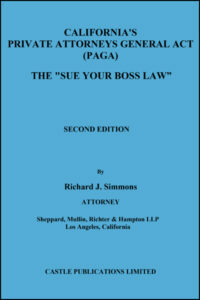 The new edition examines the recent cases and compliance systems. It also includes sample forms and valuable resources, including new-hire and attestation forms and opinion letters.